HCWG Statement on the report of Parliament’s Ad Hoc Committee on Probing Violence against Foreign Nationals. The Hate Crimes Working Group (HCWG) wishes to express its disappointment with the report submitted by Parliament’s Ad Hoc Committee on Probing Violence against Foreign Nationals. The report is the outcome investigations by the Committee set up in May 2015 following as wave of attacks on foreign nationals that began in Durban of April this year and later spread to other parts of the country. Whilst it acknowledges some of the systemic challenges facing foreign nationals in South Africa as well as the lack of social cohesion projects programmes following the violence of 2008, the report does not define the violence against foreign nationals as being ‘xenophobic’. What is even more worrying for the HCWG is that it fails to include a call for hate crime legislation in its broad list of recommendations. The HCWG, in a letter to the Committee sent in early September 2015, proposed hate crimes legislation as a critical component of a solution to the problem of xenophobia in South Africa. Hate crimes are defined as a criminal act by a perpetrator motivated in whole or in part by prejudice or hatred regarding an aspect of the victim’s identity. Hate crimes are based on identity or perceived identity and serve as a ‘message’ of intolerance and intimidation, thereby harassing not only the victim but also the community to which they belong. These message crimes undermine social cohesion and the creation of a society based on equality and human rights for all. Hate crimes legislation would provide the necessary tools to monitor; combat; and effectively prosecute such crimes, thereby providing reassurance to vulnerable groups. All this is vital to South Africa’s societal transformation project. The call for hate crimes legislation has been made repeatedly over the years, notably by the South African Human Rights Commission’s 2009 report ‘Report on the Task Team of Members of Parliament Probing Violence and Attacks on Foreign Nationals’. 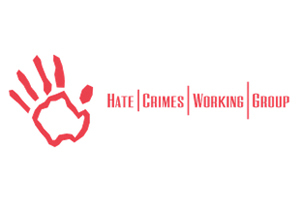 Today, the HCWG again urges for the speedy implementation of hate crimes legislation in order to help prevent a repetition of the brutal attacks of 2008 and April 2015. 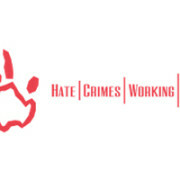 The Hate Crimes Working Group is a coalition of civil society organisations from various sectors across South Africa, advocating for legislation to deal with hate crimes and undertaking some of the most comprehensive research on these crimes in South Africa. For more information, please contact Alana Baranov (SAJBD) on +27832752184 or Marlise Richter (Sonke) on +27828589927. http://hcwg.org.za/wp-content/uploads/2015/11/HCWG.jpg 200 300 HCWG http://hcwg.org.za/wp-content/uploads/2013/04/HCWG-Logo-Side.png HCWG2015-11-26 13:18:482015-11-26 13:18:48HCWG Statement on the report of Parliament’s Ad Hoc Committee on Probing Violence against Foreign Nationals.